The two most common martial arts practiced in North America are karate and tae kwon do. Many wonder what the difference between these two styles is. This is especially the case for those who are just starting to look around for a studio. After all, most practitioners in both disciplines seem to wear the same type of white gi uniforms with various colored belts. Modern traditional karate was developed in the islands of Okinawa in Japan after some influences from Chinese martial arts. There are actually different styles of karate but they are all commonly considered as Japanese styles today. 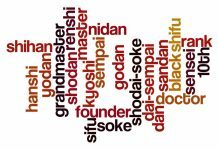 The colored belt system was developed to show the various ranks of karate practitioners with white depicting novices and black belts (with various degrees) representing instructor levels and higher. There is a whole range of other different colors in between. Modern tae kwon do was developed in Korea after much influence from Japanese karate during the occupation by Japan. Indeed, tae kwon do is sometimes referred to as Korean karate. The Koreans adopted similar white uniforms along with a colored belt ranking system for tae kwon do. Today, there are two main styles of tae kwon do, one under the International Federation and the other under the World Federation. Many schools have added a black lining to their white uniforms for black belt levels. A V-neck top is often seen in schools affiliated with the World Federation. There are also older Korean styles including tang soo do and moo duk kwan. Some of the more Americanized schools also use uniforms with other colors such as red, black and blue in addition to the traditional white. It can be generalized that in karate, one would use their arms or hands for 60% of the time for strikes or blocks while the use of legs for kicking will be about 40%. This breakdown is seen in the many forms or katas of karate which are set routines which simulate fighting against imaginary opponents using martial arts techniques. The forms from tae kwon do would have the opposite percentage breakdown with 40% hands and 60% legs. There is also more emphasis on higher kicks to the head level than in karate. 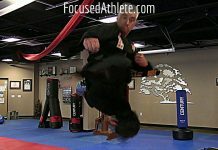 Practitioners also utilize more jumping or flying kicks where one is airborne while executing kicking techniques. The Korean forms or patterns are generally a bit shorter and less complex than the karate forms. Some tae kwon do schools have been known to use the odd karate form in its curriculum as well. In North America as well as other parts of the world, there are separate traditional competitions for karate and tae kwon do. However, the open martial arts tournaments in North America often have competitors from both disciplines competing together. 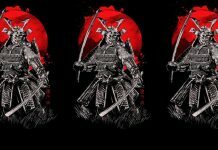 Some of the larger open martial arts competition events will have separate forms divisions for Japanese and Korean style competitors but the fighting or sparring divisions will usually be combined. 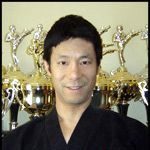 Many black belts end up studying both styles. 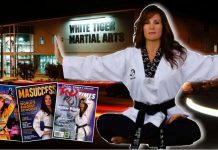 Tae kwon do has received more publicity in recent years since its introduction as an Olympic sport. The style and rules used for the Olympic version fighting comes from the World Federation (WTF). 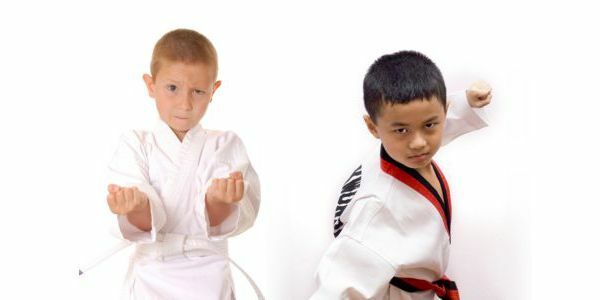 Both karate and tae kwon do are considered as hard style martial arts in North America today (as opposed to soft styles such as the many versions of Chinese kung fu). 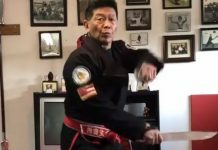 Clint Leung is a lifelong martial artist with over 36 years of training experience in kung fu, tae kwon do, karate, kickboxing and martial arts weaponry. He has won Canadian and world championship titles (NASKA, NBL and WSKF). Clint is also a motivational diversity speaker, author and Karate World Champion. 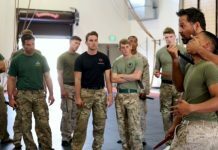 He is also the owner of Free Spirit Activewear an online retailer and designer of premium martial arts activewear.